Fantastic Fidos is an outdoor group class for those of you who have completed either a Puppy Starters or Foundations course and are hoping to attain your Canine Good Citizen, Advanced CGC, or Urban CGC award through the AKC, work towards an off-leash recall, finesse your loose-leash walking skills, or build on your current manners and obedience while adding real world distractions. The Fantastic Fidos curriculum does not differ each week as much as the Focused Fidos class, as we are primarily focusing on key outside skills. 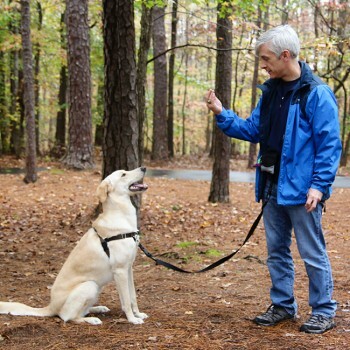 This is a great class to help you get to that “next level” and have a good time with your dog. Please note, due to this class being held outside, it will only be offered from September to June. If there are no classes listed, this class is either sold out or currently not being offered. Please check back at another time.